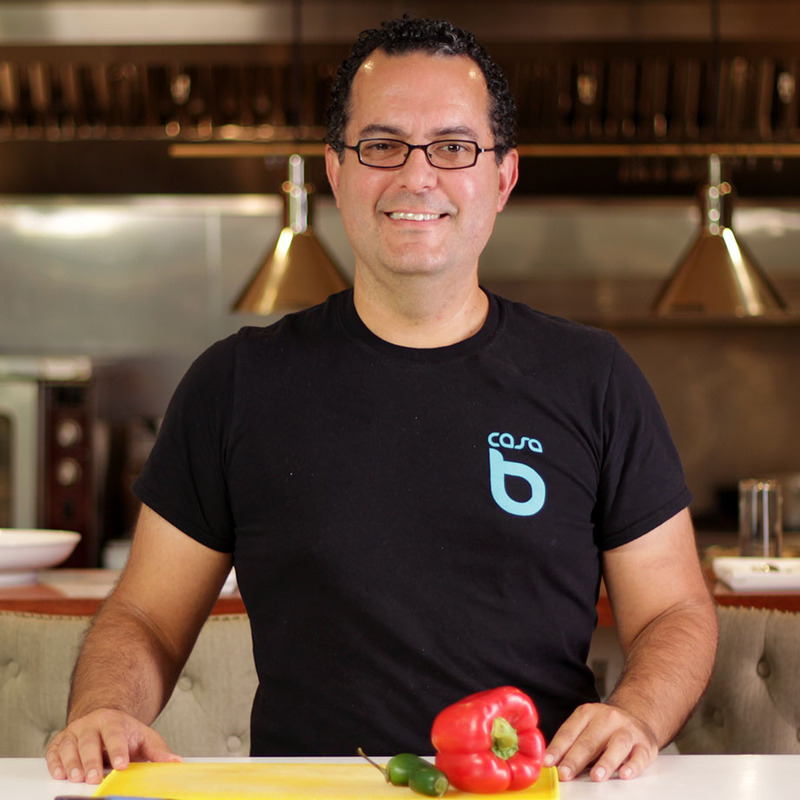 Alberto Cabré is the chef and co-owner of Casa B in Boston, where he serves Latin-inspired tapas, and leads a series of cooking and cocktail making classes. Before opening their restaurant, both Alberto and his co-owning wife has thriving careers as architects. The two now channel their understanding of balance and ingenuity into their menus rather than building designs, offering unique food that merges and reimagines the traditional cuisines from their home countries of Puerto Rico and Colombia. Alberto originally moved from Puerto Rico to Boston to pursue a master’s degree in architecture at MIT. While working as an architect, Alberto recognized a deep passion for food and cooking, and decided to formalize a culinary education at The Cambridge School of Culinary Arts. After leaving their architecture careers behind, Alberto and his wife ran a personal chef business before opening their own restaurant, Casa B, which emerged as a labor of love crafted by the flavors, colors, textures, and memories of their roots. This traditional Spanish dish can be prepared with just a few simple ingredients, and enjoyed either warm or cold at any time of day. Flaky pastry dough is stuffed with a flavorful beef and vegetable filling, making a perfect finger food for any party. This simple, rustic Spanish chorizo dish pairs perfectly with crusty bread and a glass of sangria. Fresh corn dough is pan-fried and filled with chorizo and cheese for a savory, Latin-inspired snack. This traditional Caribbean recipe made with starchy, sweet yucca root and a kick of garlicky olive oil is great on its own or as a side dish.